Here's how it works: you read a book you enjoy and you tell a friend. That friend tells another friend, the next friend tells the next, and so on and so forth, until the book becomes that year's word-of-mouth bestseller. That first recommendation gives birth to many. Simple. The concept of pass-it-on is not so new and not so revolutionary think Tupperware parties that is, until forward-thinking Web companies got hold of it and created their own, mightily efficient, money-spinning model known as the Viral Loop: the ability to grow a company exponentially because the customers themselves spread it. Super simple.pOutfits such as Google, eBay, Flickr and Facebook all employ the model at the core of their business; all have seen their stock valuations skyrocket within years of forming. The genius lies in the model's reliance on replication: what's the point of using Facebook if none of your friends can see your profile, or using Flickr if you can't share your photos? Where's the joy in posting a video on YouTube if no one watches it? Thus, in creating a viral product that people want, need and desire, growth can, and will, take care of itself. 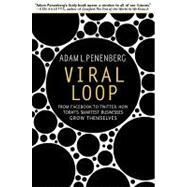 Business has never been so straightforward, or so it would seem...pIn this ground-breaking work, the first to analyze this paradigm-busting phenomenon, we are introduced to the architects of the Viral Loop and the companies which profit from its mechanics. Insightful, timely and revelatory, it will reveal the secrets behind the most successful businesses in recent history, and will explain how the Loop will catch you up, sooner rather than later.